Would you like to invest in our ministry? Donate to our Department through our safe and secure online portal. Interested in hosting a choir workshop at your parish? Contact Paul Jabara, Chairman of the Department of Sacred Music, at sacredmusic@antiochian.org. On September 30, 2018, while directing the choir in the Trisagion Hymn during Divine Liturgy, I experienced something profound. 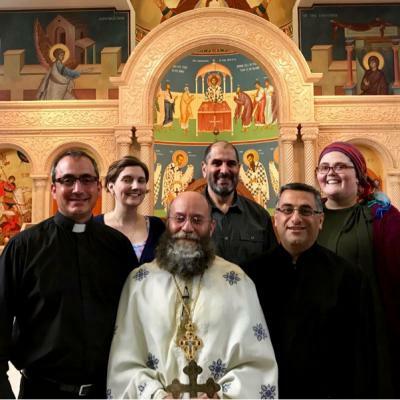 The familiar people standing in front of me weren't just twenty-five dedicated and faithful individuals who just happen to come upstairs and sing for Divine Liturgy on Sundays, but they were a choir. A cohesive unit. Twenty-five pairs of eyes looking intently at me. Breathing together. Blending together. Singing in tune, in tempo, and in faith. Their eyes, ears, and hearts were wide open, and the joy was palpable. Something big had changed between the previous week and this moment. The difference? 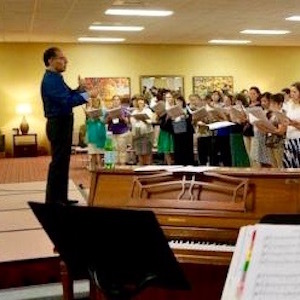 We invited Paul Jabara to lead a workshop with our choir that weekend (September 28-30, 2018).